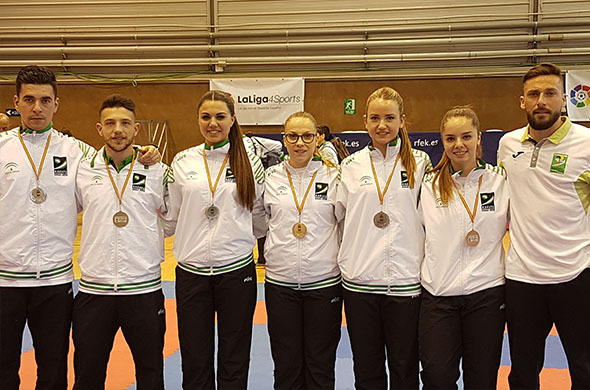 Students, alumni and professors of MIT School had a outstanding participation in the last Andalucia Senior Championship of Karate. 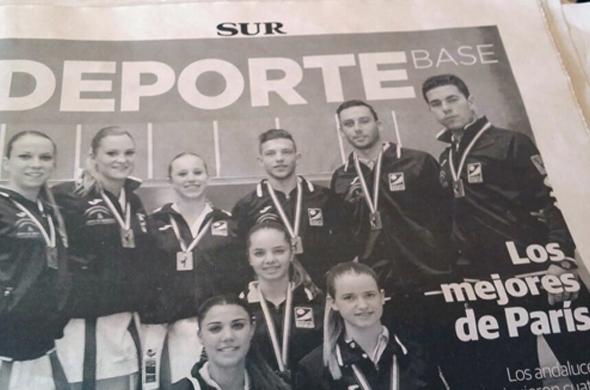 In the picture, starting from the left, we can see Jessica Moreno, former student. 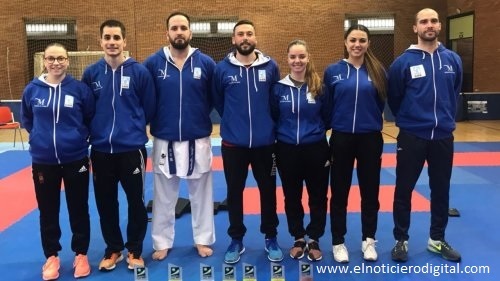 Lorenzo Marín, physical education teacher, Marta Vega, former student, Carmen García, 2 Bachillerato student and Víctor Pérez, elementary teacher, occupy the fourth, fifth, sixth and seventh positions from left to right. Congratulations to the champions! 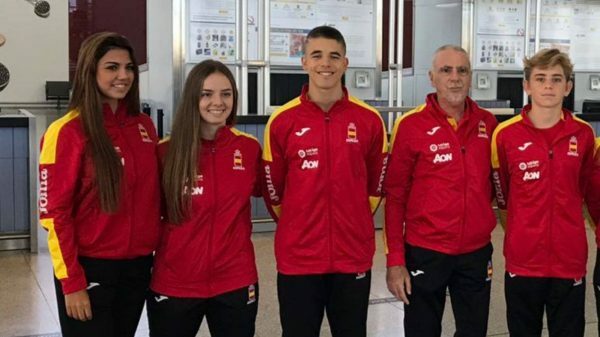 MIT students Carmen García, 2nd year of Bachillerato, José Miguel Quesada, 1st of Bachillerato, Alfie Bannister, 1st of ESO and Marta Vega, former student of MIT of 2nd of Bachillerato last year, who are part of the Spanish team of karate, will compete in the World Championship in cadet, junior and Under 21 categories, from the 25th to the 30th of October, in Tenerife. 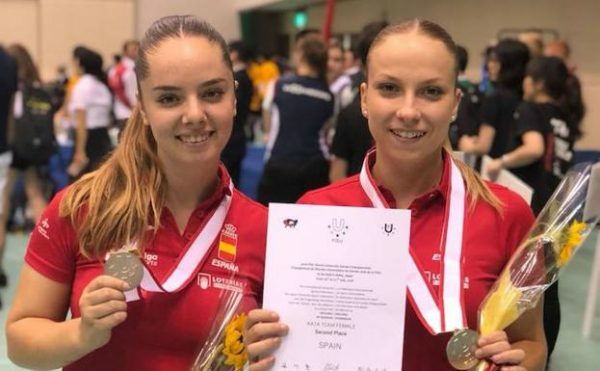 We wish them the best luck! 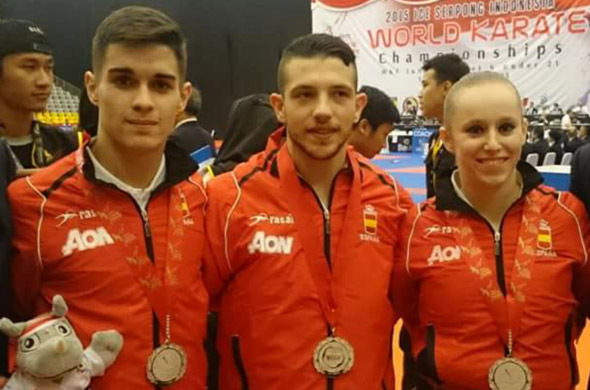 WE ARE RUNNERS-UP IN THE WORLD KARATE CHAMPIONSHIP! 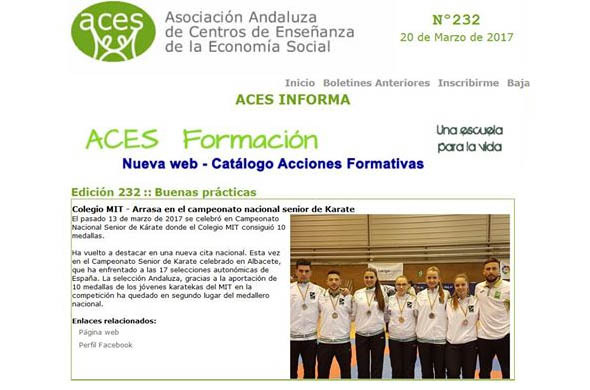 NEW TRIUMPHS FOR THE MIT SCHOOL KARATE EXPERTS! 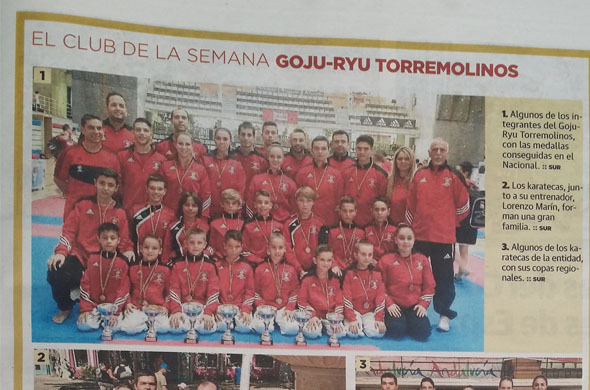 Our ‪‎karate‬ experts keep on triumphing! 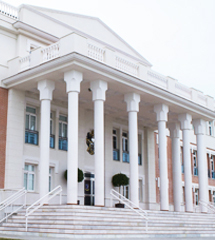 This time, it was in the European Championship for Regions, as you can see in SUR. Congratulations, ‪champions‬! What a great piece of news we have this Monday! 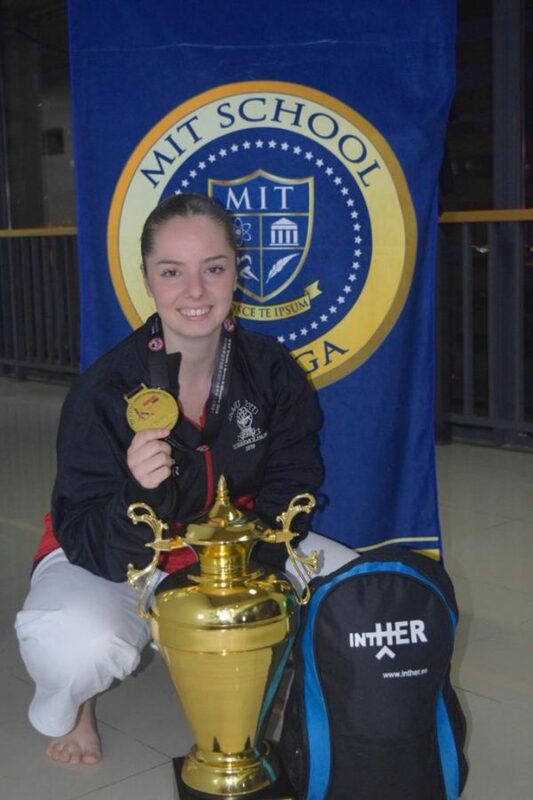 Marta Vega, 4th ESO student at MIT, has been brilliantly proclaimed European Champion of Karate in Zurich (Switzerland), with the Spanish Cadet-Junior Team. The athlete has beaten 52 countries, including some as powerful as England, France, Turkey and Italy. 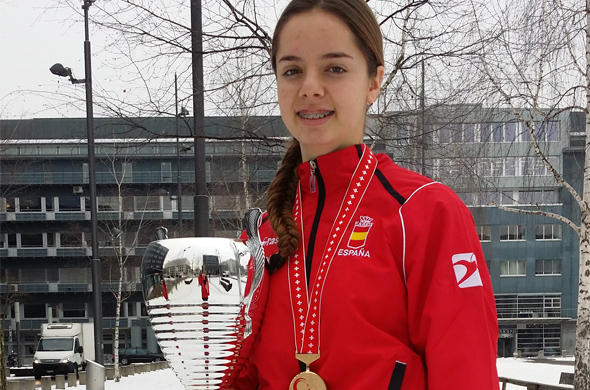 Congratulations, Marta! And thanks for representing, both inside and outside the classroom, our values of discipline, perseverance, effort and sacrifice!